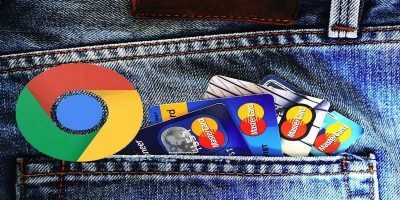 Do you often open a lot of tabs in Google Chrome, just to leave most of them untouched for hours? If you’re like, me, you probably use tabs as a way to save Web pages that you want to go back to. Keeping them open helps you remember that you need to go back to them. 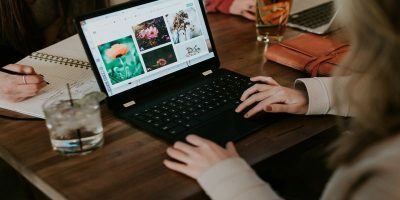 While this may be one of your personal productivity techniques for browsing the Web, it’s not always the smartest method. 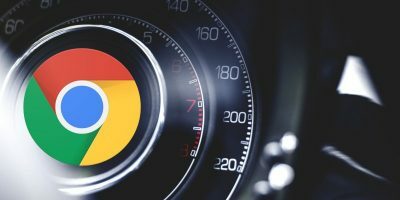 The longer you keep a tab open in Chrome, the more it eats away at your computer’s memory. 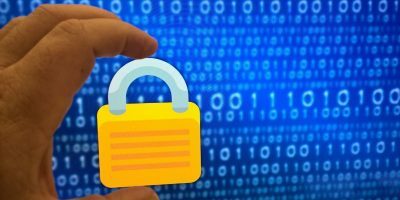 Before you know it, your browser starts to move really slow and may even become responsive. Luckily, there’s a simple way to avoid this huge headache, thanks to The Great Suspender extension for Chrome. 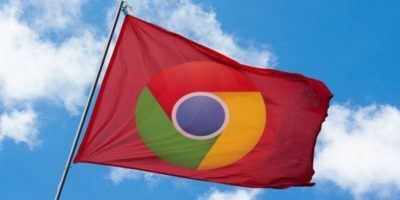 With this extension, you can suspend a tab until you’re ready to use it, which in turn helps to reduce Chrome’s memory footprint. Here’s how to use it. 1. Install The Great Suspender Chrome extension. 2. Once installed, click on the browser icon and go down to Settings. 3. 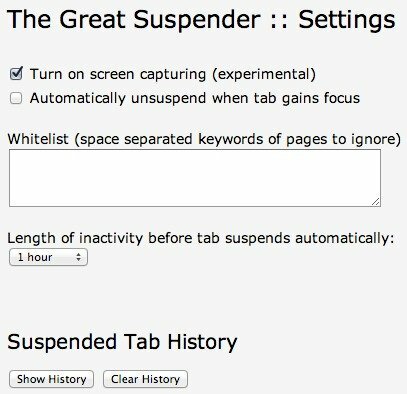 On the Settings page you can choose to: turn on screen capturing, automatically unsuspend a tab when it gains focus, whitelist keywords or Web pages, view or clear your suspended tab history, and choose a length of inactivity that needs to go by before a tab suspend automatically. Everything is pretty self-explanatory, but if you’re wondering about the screen capture feature, it’s experimental. It’s done using a script called html2canvas. The script will take a screenshot of your suspended page and display it on the tab. This helps you to remember what was on the page. 4. When you’re done, you’re ready to suspend your tabs. To do so, click on the browser icon and click on suspend this tab or suspend all tabs. 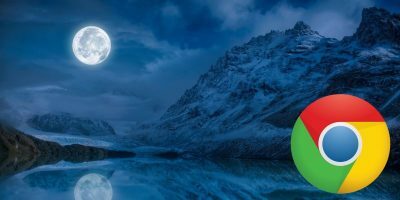 Once a tab is suspended, you’ll see a yellow bar at the top of the page along with the name of the website, URL, and favicon. If you’ve enabled screen capturing, you’ll see the screenshot below the yellow bar. 5. To unsuspend the tab, click the yellow bar to reload the page. 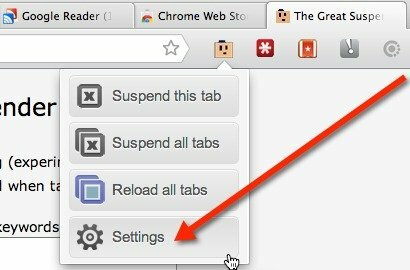 If you’ve suspended more than one tab, you can choose the “Reload All Tabs” option from the browser icon to unsuspend them all at once. As you can see, The Great Suspender is an invaluable Chrome extension. 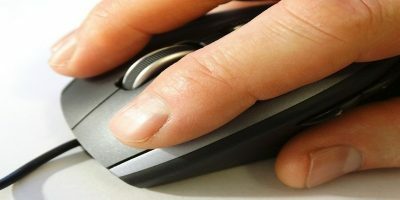 Not only is it lightweight and easy-to-use, it also improves your browsing experience. Useful only in case you’re total RAM is 128 MB ..
Or you know for the people who have a tendency to acquire hundreds of tabs over days and days of researching a project on the Internet.